The picturesque banks of the river Madon in Lorraine lead to the source of French violin making, and like all good stories, the trail of this tale also leads into legend. 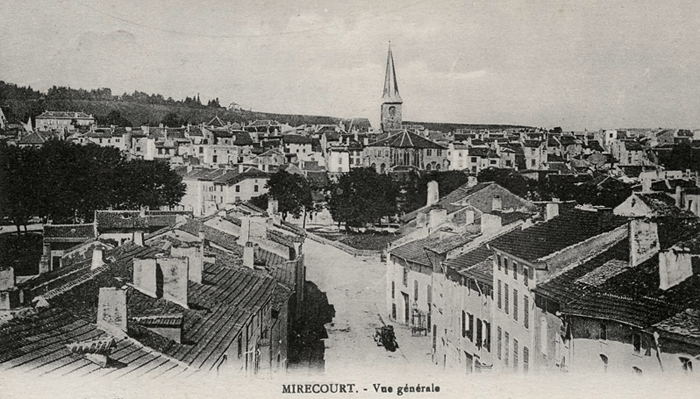 No one challenges the claim that Mirecourt was the birthplace of famous French violin makers and bow makers, although it is more than dubious as to whether it was first established by legendary old master Tywersus in the early 16th century. Unlike the Vogtland region in Saxony, the early history of Mirecourt violins is lost to obscurity. As often happens, the dates attributed to a tradition are intended to express its significance and scope, and it is certainly true that the town is seen as the capital city of French violin making. For many, the name Mirecourt is synonymous with French violins and the craft. From 1732 on, French Mirecourt craftsmen followed the strict rules of their guild to uphold their high standards, and apprentices trained there were in demand far beyond the confines of the town. They frequently went on to found their own studios in other cities, especially Paris. Sometimes they later returned to Mirecourt after several years of success elsewhere. As a result the local art of making French violins had a strong effect on the outside world, whilst at the same time incorporating other influences. Its style was inspired by highly sought-after Italian masters (initially the Brescia school, later the Cremonese); important technical insights were adapted from German violin making. The great French families of violin makers who hail from Mirecourt include Vuillaume, Chanot, Voirin, Bazin and Collin, as well as Nicolas Lupot , the “French Stradivarius.” The low number of falsified violin labels found in French violins from Mirecourt may be an indication of people's pride about the great artisanal tradition: Paris was often cited as the city of origin, but false Italian names were not given, as was common practice elsewhere. The main difficulty in confirming Mirecourt provenance is linked to fact that the labels and brandmarks of the workshops' founders were often used by their successors. This was not a matter of taking credit for others' work, but rather a proud way for young masters to honour tradition. Didier Nicolas (1757-1833) was considered the first to manufacture French violins serially in Mirecourt; to this day, making instruments is still a major industry in the town. The Mirecourt violin making school, École Nationale de Lutherie, has made it the most important venue in France for training violin makers. The local Mirecourt violin making museum is a worthwhile venue for learning more about the history of building violins and bows. Browse our special online selections of old French violin bows, the "Violins" section features our attractive selection of old French violins with audio sound samples.